Below are our pictures & videos from our 14 Night "Irrawaddy" River Cruise in Myanmar (formerly known as Burma) with AMA Waterways on their inaugural Cruise there on the "AmaPura". What a treat to experience the 1st ever Cruise to a brand new destination! For those seasoned travelers who want a unique/not so touristy destination, Myanmar is perfect! This was our 3rd trip to Asia (we also did the "Yangtze" River in China & the "Mekong" River in Vietnam & Cambodia) and like our other 2 trips there we Loved it... Asia is definitely a great part of the World!! 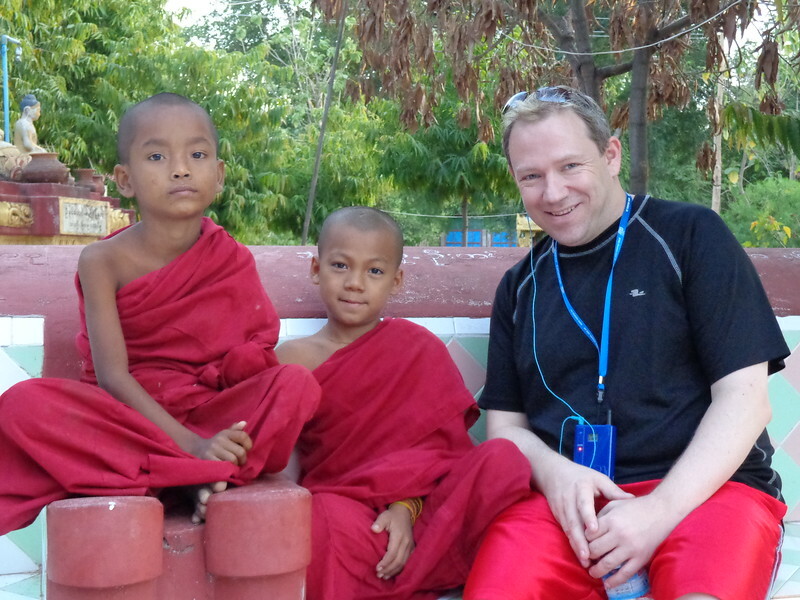 In Myanmar when kids are between 10-16, most boys and some girls, become Buddhist novices and go to live in a monastery... there's Shawn visiting with a few of the boys at one of the monasteries we visited.